I just returned from a gathering of Dance Retailers where Ginger and I dance at a once a year party. Finally I understand why it is important for me to dance in public. First for myself, I get to see how much I can love my movement while being seen. That sounds odd but my usual way of dancing in public is to enter a kind of full on interaction with the entire crowd of people. My awareness expands and I literally dance with everyone there. This is fine with me except that I lose my center and ride huge waves of Energy where I get lost and often try to do more than my body will handle. None of this is bad except that I need to have a level of awareness in myself that I can return to as Center. From there I can inhale and reflect and rejuvenate any part of me that I have taken too far. Why do I dance? I dance to learn how these moments work and how I can go beyond my capabilities and at the same time have the awareness to manage my movement and also rejuvenate any areas I over extend. How do dancers deal with the daily vulnerability and moment by moment corrections necessary to improve? Growing a courage to admit strengths and limitations. Growing a willingness to recognize insights and make corrections. Dancing offers an instant delight of moving, growing, and becoming oneself. Dance class is a process that builds confidence and excellence. I joined a Ballet class once again as a beginner’s beginner. One thing that puzzled me was the way most people left class without interacting with each other. It reminded me of some meditations that are so expanding that words and smiles are not appropriate right away. And it was true that like in meditation, every moment of the class required a personal dedication to noticing and making subtle shifts. And also the ending of the class with a portabra was a very gentle and expansive way to integrate my entire experience of struggles and insights. Interesting that these analogies continue. The closing of the class was a moment of absolute stillness called “reverence.” i guess it would be normal to leave silently and take that feeling of strength and personal awareness with us. But this is more of an adult experience. The little ones would be hugging each other, jumping up and down, and giggling. Teenagers who know the delight of dance have their own way of enjoying their friends after an intense class. How do dancers think about their friends who go faster and farther into dance skills? Because everyone is challenged to their maximum, there is tendency to rely on each other’s strengths and to take a longer view of getting things right. I have watched so much dance and so many dancers of all ages that I see each person as a unique journey. And the journey is like a group of scientists looking at a huge phenomena without an explanation. When one dancer gets the pattern correct, everyone is in a different place, just like scientists who make a breakthrough for the entire community. Another person adds more emotion or a melodic phrasing or a variation in the rhythm. Another person can not do all the pattern but has a little attitude that speaks a different message. For myself, there is no way I could even make it through class without all the variety of the insights and breakthroughs of the other dancers. So at the end of class I can walk out. I have to show my gratitude for everyone, the weakest who stand in courage with me and the brilliant ones who show the way. And it is no big deal. I smile or give a small touch and a gesture of gratitude. For some I can say how their experience of the dance helps me. For others I give a hearty thank you because I know their courage and growth has made a difference to me. Every person has their ways of storing tension. After a while the tension becomes pain or a troubled system like digestion. We often ignore the discomfort allowing it to get worse or confronted it with massage, medication, or a vacation. There are many other ways of dealing with tension. I prefer to change my habitual ways of responding to stress. The three most powerful ways of changing the way I think, feel, and act are through the study of dance, music, meditation, and prayer. A favorite tension matrix for accumulating stress begins at the spine between the shoulder blades and goes up into the head. We experience grabbing sensations in the shoulders, chest, neck, and jaw. I feel this gathering of tension when I concentrate on a project and grab with my facial and eye muscles. These tensions call on my upper body to join in the fun, and there I have it, lingering tension. My mentors deal with tension by waking up the energy flows in the entire body. Using the help of the arts and meditation, dancers and musicians rewire the networks connecting intention, emotion, thought, and the body. This upper body tension matrix gives way to changing the energy flow. Piano players concentrate the energy flow through their upper torso into their fingers. The agile changes of focus on musical melody and rhythm relieve the tension. Singers connect the energy of breathing with openings of the inner cavities of the throat and the soft palate. This openness of energy flow combined with vibration in the head seal the experience of refocusing the stress. The disciplines of meditation and prayer have ways of altering energy flow using different brain waves. These affect the entire body and open up centers of focus like the “third eye” at the middle of the forehead. Dancers have a comprehensive approach to combining all the benefits of these disciplines plus a detailed study of energy flow through the various human networks. Ashe Arts: the dynamic new theatre company focused on telling stories from the African Diaspora is proud to present a new and exciting theatre event. 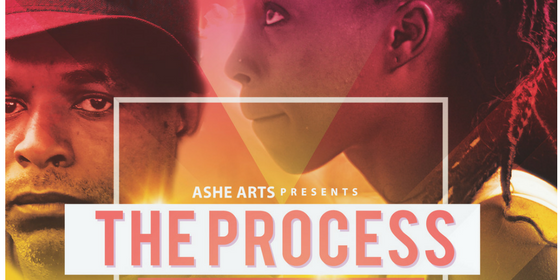 “The Process” is a unique experience offering a peek behind the curtain of the creative process with narration from the artistic directors: Sadé M Jones and Zell Miller, III. Experience multi-genre event with beautiful movement and powerful theatre using the “The Jazz Aesthetic”. Discover the beginning motivations of these two directors and what inspires them to use these methods to create a new and awe-inspiring genre of theatre. Celebrate the up-and-coming artists of color! 2-night event ONLY! $20 genral admission @ the door. For more info. and tickets click here!